3. 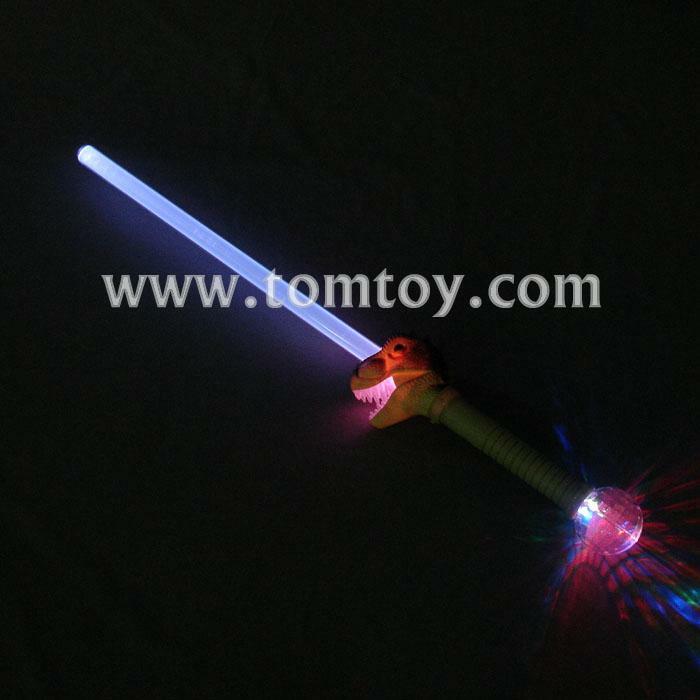 Each plastic LED Dinosaur Sword also features a strobe at the base of the hilt for even more a light show at night-time events featuring a prehistoric party theme. 4. Each Light Up Dinosaur Sword is 29 1/2" long. 5. Our Prehistoric party toy comes with 3pcs AA batteries included and installed and can be replaced.